At a press conference following the ceremony, he spoke at length about his career, detailing his personal distaste at actors who seek to impart wisdom to younger colleagues. 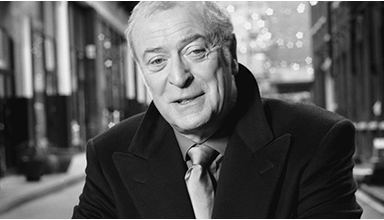 On 1 October 201 a: The life Of film legend Sir Michael Caine will be celebrated in a special night at the Royal Albert Hall in aid Of the NSPCC. Presenter and film buff Jonathan Ross will interview the two-time Oscar winner live on stage as we look back On his incredible Career and enduring popularity, with clips on screens above the stage and music from his best-known films being played live by the London Symphony Orchestra, conducted by Gavin Greenaway.